Earth Day has become a tradition in a lot of places in recent years, and this year, this week, is no exception. It gives us the chance to celebrate and learn more about God’s gift of the earth and all living things that depend upon it, including ourselves and native human communities around the globe. A wide array of spring occasions has been sparked by Earth Day. 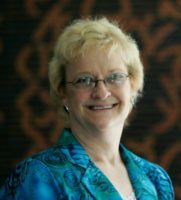 For example, the United Methodist “CreationCare Summit” the end of July at Hamline University (St. Paul, MN) offered ways Christians are already acting to care for God’s creation, theological vision for a planet in peril, and how we can enhance communication about goals and actions across the connection. On another front, attendees from Creation Spirituality Communities across the U.S. will gather April 26-29 in Asheville, NC, for “Sacred Earth – Sacred Work.” With keynote speakers Matthew Fox and Marcia McFee, a concert by the interfaith band Abraham Jam, and twenty-five optional workshops, participants will have plenty of interfaith connections, learning opportunities, and worship experiences. 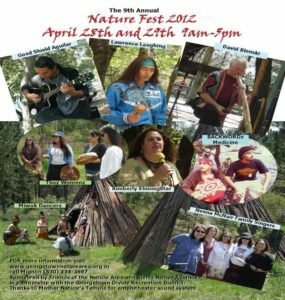 – And then there are hundreds of secular local community celebrations, including the very local “Nature Fest” near my home in the Sierra Nevada foothills. Whatever your outdoor setting this week, I hope you will look at nature all around you, listen to birds, watch for animals big and small, and breathe the air in deeply. All the Earth is God’s creation, a gift to us all, meant for us to manage, guide, and learn from with loving care.